With many fixated on the anti-media diatribe portion of Trump’s Phoenix rally, (wherein, we should remind you, a sitting president acts as if he is still in election campaign mode), the Center for Public Integrity, via its Twitter feed, focused on another portion of remarks, responding to Trump’s statement about his relationship to special interests. 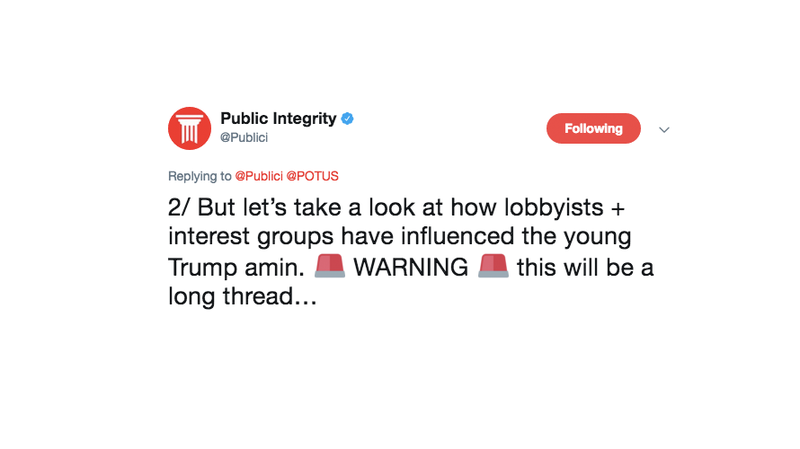 CPI highlighted an entirely different relationship between Trump and special interests in a twitter thread, displaying the links between the Trump admin and lobbying and special interests groups. 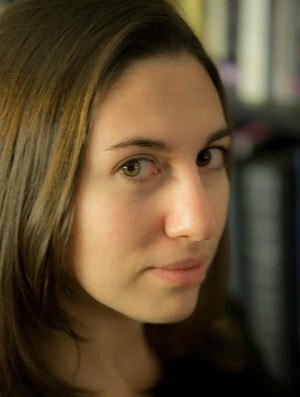 Each piece of evidence, one per tweet, comes with an accompanying article, the kinds of pieces that take time to write, time to read, and tend to get lost amid the many controversies, big and small, this administration is so adept at generating, especially those which fit into more easily digestible stories. CPI’s thread is a good way to reintroduce and unite a set of discrete pieces all displaying a common theme.